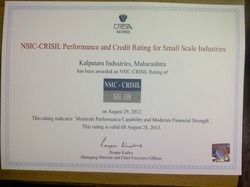 We have been awarded an NSIC-CRISIL Rating of "NSIC-CRISIL SE 3B". 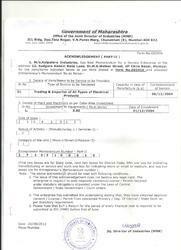 We have been awarded MSME Certificate by the Government of India. 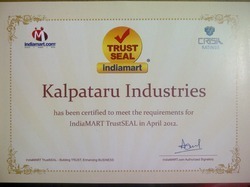 Trust Seal awarded to us by CRISIL Rating via Indiamart.